What do you do with the pickled carrot/jalapeño you often get with a burrito? I know I usually forget about it while I wolf down the whole burrito, then find myself overfull, with an extra baggie pickled veggies. One of my favorite uses for them is to make a very quick slaw–just chop the carrots, as much of the jalapeño as you want for spice, and toss with shredded cabbage and a bit of buttermilk, olive oil, and freshly ground pepper. It’s a perfectly refreshing lunch salad, with more complexity than the quick cutting short ingredient list might suggest. To make it more of a meal add avocado, nuts, or chicken, or some combo therof, or just eat it before you order another burrito, so that you’ll be fuller, with better nutrition, so you’ll only snarf half this time. 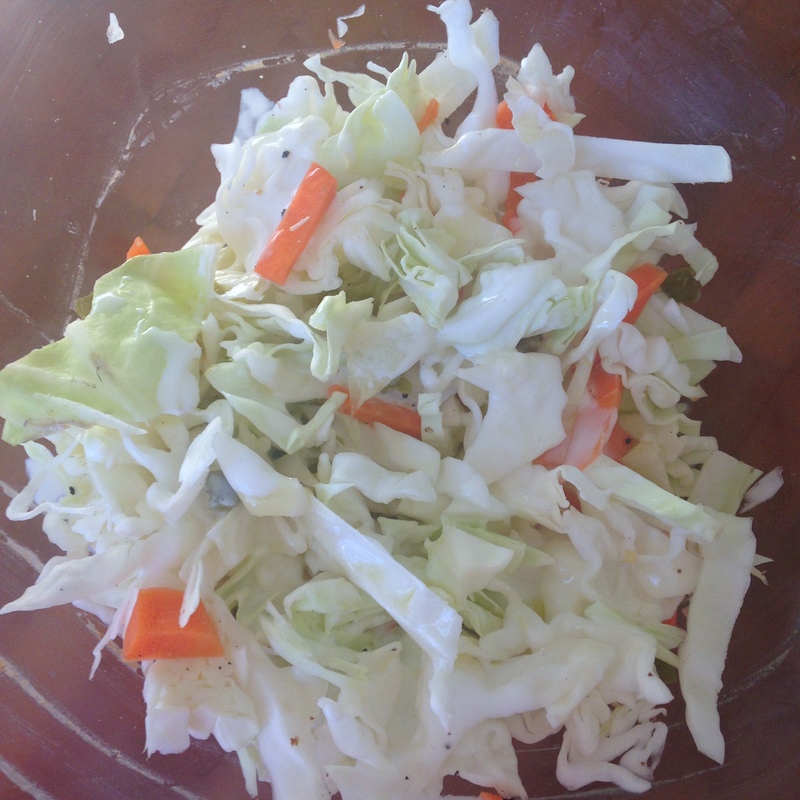 This entry was posted in project pantry, recipes and tagged #pantry, coleslaw, recipe, simple. Bookmark the permalink.